The EBA Master Class Program is a program designed to supplement the content taught in the EBA classrooms. It is an enrichment program where students will have the opportunity to meet with and talk directly to business and industry professionals about their careers or experiences. Students are required to complete a certain number of Master Classes in a semester. To learn more about the Master Class Program watch the YouTube video below or review the document attached to this page. 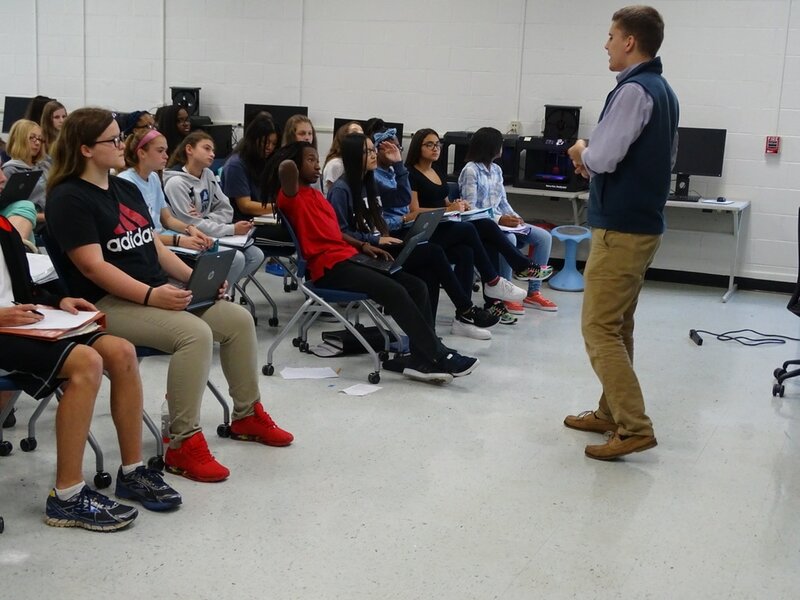 Kempsville and our surrounding community have been a tremendous support in assisting to establish the Entrepreneurship & Business Academy at Kempsville High School. EBA students directly benefit from the kindness and generosity of our partners. We want to ensure that we are creating students who are not only critical and creative thinkers and problem solvers but who are also civic-minded and understand the importance of service and giving back. Social entrepreneurship plays a large role in today’s world and many of our students are interested in creating and assisting businesses who give back and have a service-based mindset. This academy requirement ensures that all of our students spend time giving back to our local community who gives so much to them during their time in this program. Students who enroll in the Entrepreneurship & Business Academy as freshmen will need to complete 100 hours of community service related activities/events (list of ideas included below) during their time of enrollment at Kempsville High School. The recommendation is that students complete 25 hours of community service a year to reach the goal of 100 hours for students who enroll as freshmen. (The Class of 2020 will need to complete at least 75 hours). Students are encouraged to complete more than 100 hours but only 100 hours are required by May 1 the year that they graduate from the Academy/KHS. Students who complete the most community service hours in a year will be honored/awarded for their efforts through recognition/assembly events to be scheduled in the future. For more information review the document below. Current students should use the attached verification log and submit hours to Ms. Timlin.